Managing the “links” between our people, shapes the appropriate team for the right client. We like to believe that he have sufficient experience in effective links between professionals, because our clients thank us each time personally, and this has not happened only once. At D&B David and Baias, the clients are part of out team and benefit from the same respect as all our partners. Our two founder partners, SORIN DAVID and FLAVIUS BAIAS are prominent attorneys, with an excellent reputation among the members of the legal profession and successful academic careers. 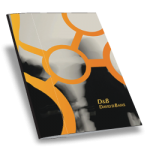 The D&B team currently comprises more than 40 lawyers, of which five are partners. Sorin David is a partner of D&B David si Baias. He has been a member of the Bucharest Bar since 1991 and he is an arbitrator of the Court of Arbitration of the Romanian Chamber of Commerce and Industry. Dan Dascălu holds a Phd. in law. His expertise in the fields of tax, administrative and employment practice is extensive. Anda Rojanschi leads the Corporate M&A team of a D&B David şi Baias, specialises in corporate law, as well as Mergers, Acquisitions and Restructuring. Ana-Maria has over 10 years of experience in tax and administrative litigation, successfully representing numerous clients both before Romanian authorities and courts, and in proceedings before the Court of Justice of the European Union.